Starting army recruitment training in 2019? Keep this in mind! That is what an army recruit is made of. Nothing worth having is ever easy, which is why this training isn’t a place you can afford to not take seriously. Some of UK’s finest come out of recruitment training, which means that the process has to be intense. Here are some of the things you should be expecting! And sleep deprivation. This is of course an obvious thing to expect. For many new recruits, the extremely physical aspect of training can take a toll. The people in charge want to make sure that you are in perfect shape for the actual field. The whole process toughens you up and sorts you out. The skills you will be taught here are of a basic level. However, the more important aspect is how well you withstand pressure. Make sure you make the most of the time you have here. Absorb the difficulty and turn it into your strength. If you pick up things fast here, then anything you go through in the future becomes easier. Throw away your schedules and calendars, the armed forces maintain their own timetable. And you should be ready to bring some consistency into your life, because most of your days will look more or less the same. This helps instil some discipline but also makes you more grounded. You will also learn how to become a perfectionist here! You are a greenhorn in more ways than one during the time you spend in recruitment training. And you are treated as such too. Once you move into more advanced stages, you will realise that your superiors are friendlier. 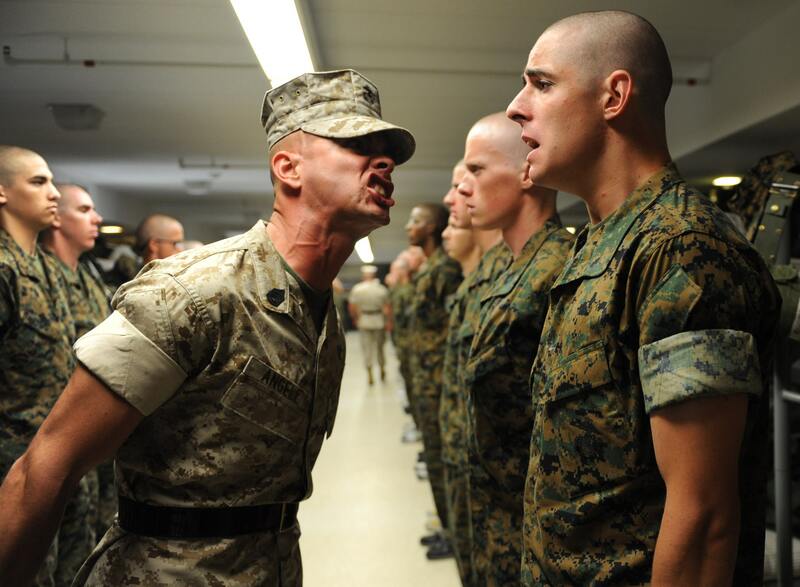 Remember that basic training only feels like a bigger bite because of how new it is. Once you adapt, there’s no looking back. In some ways, the extremely full calendar of activities and emphasis on getting even things like making your bed right, are setting you up to expect that it will only go downhill. The reality is that once you’re done with your recruitment training, you have fewer parades, no actual bedtime, etc. Make sure you come into the training with the right kind of attitude, and you will see the difference as you advance. Often people aren’t prepared for how difficult this training can feel. Many army men and women who don’t do that great during basic go on to become brilliant soldiers. So, if you ever feel like everything is going wrong, remember that better times are just around the corner. Don’t give up on your dream of serving the country you love – just stick it out at all costs.